While Tiger Woods was going through surgery, rehab and a stinky marriage breakup, most of the world was broadcasting his demise. It seemed like people were happy he had hit bottom. Unless you’ve been a professional athlete, you wouldn’t have any idea what it takes to be number one. No, I never was one, but I know how tough golf is having spent years with a professional golfer who never made the big time. I watched “The Tiger” push forward. I meditated he would make it! In life when things go bad you can either ‘give up’ or ‘get up’ and push forward. Being number one forever is never guaranteed nor is being in last place. You just have to stay on your path and go where it takes you. We are all part of a bigger universe that is there for us; we just have to trust it. One thing the world knows, like him or not, Tiger can fill up those seats. That includes the old and young ones. My 85 year old neighbor used to grab her scotch and settle in front of the television to watch Tiger Woods play golf. She lived to watch Tiger play! When he plays, win or lose, the television ratings go up. “The Tiger Effect” has consistently boosted PGA Tour ratings all season. I don’t know many who admitted to really liking Tiger Woods but without him golf is just a game. When he plays it becomes magical. Isn’t that what the public hungers for? Not only does the public want him to be the best in the world but the nicest. You don’t have to be a psychologist to realize that his childhood was not the kind that develops caring human beings. His choices seemed simple, win or win. This doesn’t give you much time to practice your interpersonal skills. According to what I read, it appears that his parents only had one thought in mind; that was to make Tiger a ‘killer’ of a player. Who knows what Tiger was thinking or feeling; it’s doubtful that he knew. In my opinion, he was raised to be at the top at all costs. The golf world was willing to accept him as the ‘best thing that ever happened to golf’ until his personal life took over. ’ The word ‘thing’ is an odd way to describe a person but it gives you insight into what Tiger was. I went to college with several baseball players who grew up to become famous athletes. Since many of them majored in physical education, like myself, we attended many of the same classes. There was one difference, I wasn’t expected to be great so I didn’t have to win every game or be chastised every time I lost. To me it was still a game; it was never a game to them, it was always a profession. A profession that required them to be great or move on. I used to wince when I heard the yelling and screaming when they lost. What motivates athletes to win? I took the paragraph from an article in Psychology Today written by Jim Taylor Ph.D.,The Power of Prime. 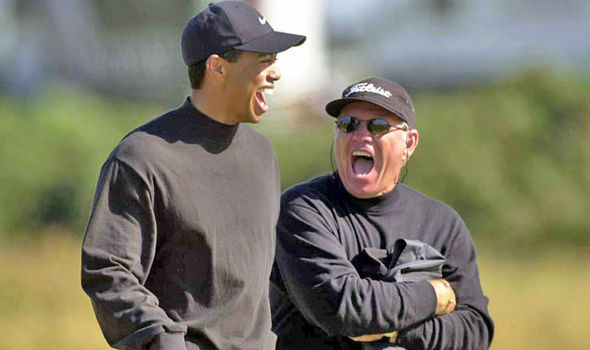 “The way Woods is coming into this Ryder Cup, though, doesn’t it feel like it could turn? The victory at the Tour Championship represented a physical comeback from the back surgeries that left him struggling to get out of bed. But it was also part of a rebranding, and choking back tears mattered. This is not the automaton Woods who won tournaments he was supposed to win with the kind of golf he was supposed to play. This was more real and accessible, more human. The Ryder Cup can be one more facet of Tiger Woods’ revival tour. Personally I don’t care how or why Tiger is back. Golf just isn’t the same without him. Lisbeth Calandrino has been a Business Strategist, Sales Trainer and Professional Business Coach for over 20 ears. To connect with her and discuss what keeps you up at night, reach her at 518.495.5380 or Lcalandrino@nycap.rr.com. Join me on my blog at http://lisbethcalandrino.com.